May 7, 2012: Today, Meir Yifrah, Chairman of the Vegetable Growers Association told Gisha that Israeli farmers do not oppose the marketing of tomatoes from Gaza in Israel. Israeli crops have not ripened yet and while the price of a kilogram of tomatoes in Gaza is now three shekels (79 cents), in Israel it is expected to reach 16 ($ 4.21) over the coming month. 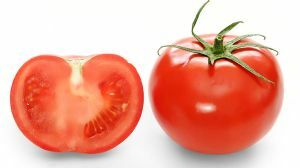 Yifrah said that Israeli farmers would not incur losses if consumers buy tomatoes from the Gaza Strip and Israeli consumers would not have to pay unreasonably high prices for tomatoes which are a basic commodity. Israel has banned sale of goods from Gaza within its borders since 2007 despite the fact that there is a security mechanism for screening products that enter Israel from the Strip. The few goods that do exit the Gaza Strip are shipped through Israeli territory – and are sometimes temporarily stored in the country – following thorough security checks. Meir Yifrah explains that “marketing tomatoes from Gaza is an example of how Israelis and Gaza residents can profit from economic cooperation and from strengthening relationships in the agricultural sector".